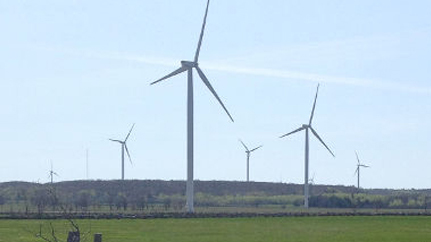 Turbines and Tourism | Mothers Against Wind Turbines Inc.
A recent Rutland Herald editorial, entitled “Powering up,” concluded that we need to move with urgency toward the renewable power of the future. While that is correct, the editorial goes on to complain that “old ways” of thinking dominate the discussion in Vermont. At issue: the editorial then proceeds to propose “old ways” to move us forward. When it comes to energy development in Vermont, the industrial wind industry leads the “old way” pack. Wind operators and developers have been living off federal subsidies since the early 1990s and have been wreaking havoc in Vermont for just as long. It’s time to boot them out of the state and employ creative Vermontsized energy solutions. 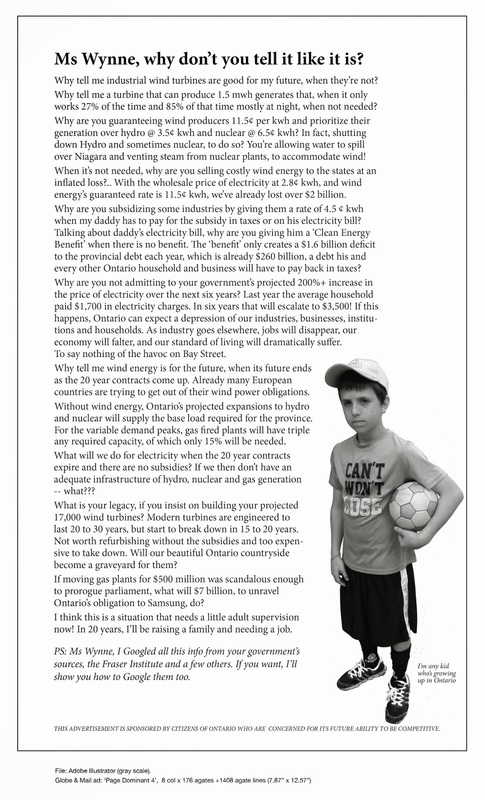 The editorial employs the “old way” strawman tactic when citing the arguments of industrial wind opponents. Legitimate concerns of Vermonters are minimized when the only argument acknowledged against ridgeline destruction is to mock “the exquisite timidity of those who grieve over birds killed by wind turbines.” It’s a cheap shot that does nothing to advance the conversation. We should instead be talking about the entire range of problems industrial wind development brings to Vermont: mountaintop dynamiting, destruction of intact eco-systems, stormwater runoff, habitat destruction, habitat fragmentation, noise and health impacts to neighbors and wildlife, safety risks, community division, aesthetic degradation, tourism, property devaluation, and, yes, impacts on birds, bats, and even bears. The editorial call for an improved large-scale infrastructure capable of transmitting intermittent power from remote, industrial-scale wind plants is another “old way” solution; rural areas are sacrificed to enable our unsustainable wastefulness. Treasured areas like the former Champion Lands, once valued for their ecological significance, become collateral damage. Large-scale transmission from rural to urban areas is a misguided “old way” use of our resources. There is both wind and sun in our urban areas (Lake Champlain Wind Park, www.champlainwindpark.com) anyone?). We should be supporting renewable development in already-developed areas while protecting undeveloped areas. We should also be emphasizing community scale generation facilities sited in the communities that they serve. This would reduce energy loss over lengthy transmission lines, improve system reliability, and preserve our vital wildlife habitat. This is the Vermont-scale approach that is in tune with Vermont values. Some view turbines on distant ridgelines as a visible sign of our commitment to climate action. They’re wrong. A closer look shows that those turbines are exacerbating the very climate impacts that we wish to avoid. Industrial wind plants are putting money in the pockets of investors, developers and a few landowners, but they’re not addressing the very real and pressing problem of climate change. The industrial wind lobby is fond of saying say we need to make sacrifices. We do. But where those sacrifices come from, whether or not they’re effective and, most certainly, who profits and who loses from them should shape our solutions. We need to change the way we live, we need to stop being so wasteful, and we need to support solutions that actually work. We need to invest in unsexy work of weatherization, efficiency and demand reduction. We should support renewable development in already-developed areas and prevent new development in resource rich areas. We should be focusing on the least destructive renewable technologies and develop microgrids around community scale generation. Yes, we need to sacrifice, but that doesn’t mean sacrificing our natural resources. It means changing the way we live and protecting the earth. All of it. Noreen Hession is a retired engineer, community organizer and environmental activist who lives in the Northeast Kingdom. c. that the issues noted by G.D. Jewell [Loyalist Township’s engineering consultant] be addressed to the satisfaction of Loyalist Township. • the fifth version of Operations Plan finally acknowledged that the lsland roads do not have the load bearing capacity to support the heavy equipment required for the wind turbine project and that structural failure of lsland roads is anticipated in section 2.6 titled “Potential Road Failure”. APAI asserted that it was inconceivable that Windlectric expected Council to approve a Plan that anticipates the total failure of roads on Amherst lsland, putting lives and the environment at risk. • Windlectric’s Plan also fails to comply with commitments made to the Environmental Review Tribunal as Windlectric now plans to widen all haul routes to 6 m. This is totally contrary to the three minor and temporary widenings on which the ERT based its decision. Windlectric to comply with the Renewable Energy Approval Conditions of Approval, all federal, provincial, municipal laws, and commitments made before the Environmental Review Tribunal. • Windlectric’s Marine Logistics Plan fails to demonstrate how 24 barge trips per day crossing the ferry path can possibly be safe. According to the Operations Plan, two barges carrying fuel, hazardous materials, heavy equipment, turbine parts and personnel will cross the ferry path twenty four times per day from September to April. APAI’s submission also addressed a long list of significant and very troubling matters including resolution of the important and complex issue of forced roads, the lack of baseline testing of residents’ wells for water quality and rate of flow, and Windlectric’s request for a blanket exemption to the Township Noise Bylaw. The Amherst Island Wind Project has already caused a major power outage on the lsland, a fuel spill, and a water emergency in Prince Edward County. Consequently, it is reasonable that Council insist on absolute compliance without exception to protect the public and the environment. APAI commends the expertise, tenacity and due diligence of Township staff and congratulates Council for standing firm in the face of bullying by Algonquin Power until the Operations Plan addresses all outstanding issues. “Windlectric’s proposed haul route on South Shore for heavy equipment, turbine parts and concrete trucks – 10,322 trucks! The scene by Peggie’s house this morning Monday May 29. Windlectric says roads will fail and has finally discovered what Islanders have known all along: Island roads do not have the load bearing capacity for an industrial turbine project. Be honest, would you go to the Manitoulin Island now?? Hey, Manitoulin Island, wake up! One of your greatest resources is eco-tourism, but those towering industrial-sized wind turbines are an unsightly welcome that are destroying the awesome experience of any visitor to the Island. More importantly, the turbine’s intrusive and horrific Gothic presence disregards a sacred obligation to protect one of the most beautiful bio-systems in the world. In addition, the Dark Sky Sanctuary that is an important global contribution is threatened by the towering night lights on the horizon. Take the opportunity now to stop this intrusion that is defacing and devaluing the sanctuary of beautiful Manitoulin Island. Manitoulin could be a global leader if you can maintain the originality and sacredness of the Island that is a shining crystal for us all to behold. Like an invasive species, the influx of towers is turning visitors away and preventing them from enjoying the treasure they expect from an island gem, such as this.